East Asian tea ceremonies elevate tea making to a meditative art form, with the rituals aiming to highlight the special and beautiful moments in everyday life - which is exactly the premise of my Little Luxuries series. I think it's important to savour the little things in life - to literally stop and smell the roses. It's these little things that add up to the big picture: fresh bed sheets, a bubble bath, clean fluffy towels. 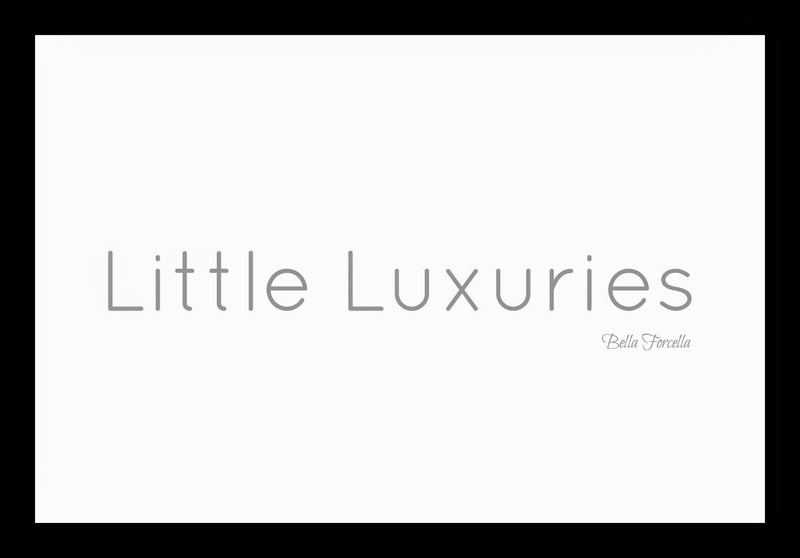 These small touches add a bit of luxury to the everyday routine and provide moments of sanity in an otherwise hectic life. But in order the reap the benefits of these treats you need to put in the effort to make sure they happen. 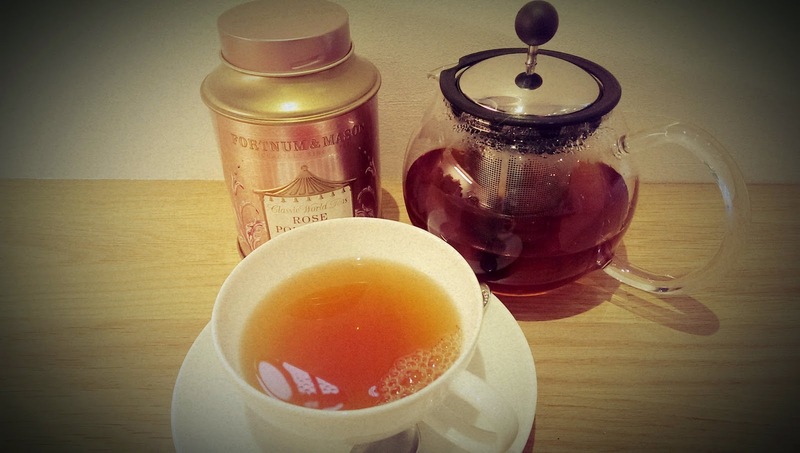 It's easy to make a quick cup of tea in a mug using a teabag, but how much nicer is it to get out a tea pot and a nice cup & saucer and use the loose tea that you've been saving for a special occasion? That's exactly what I did this morning. 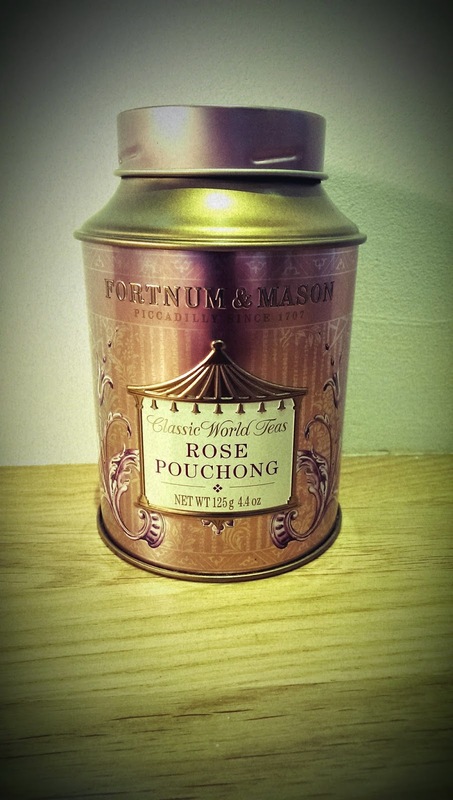 I came across this tin of Rose Pouchong tea from Fortnum & Mason (which I fully admit I only bought because I liked the tin) and decided to make myself a proper cup of tea to go with my bagel, rather than my usual Tesco teabag! 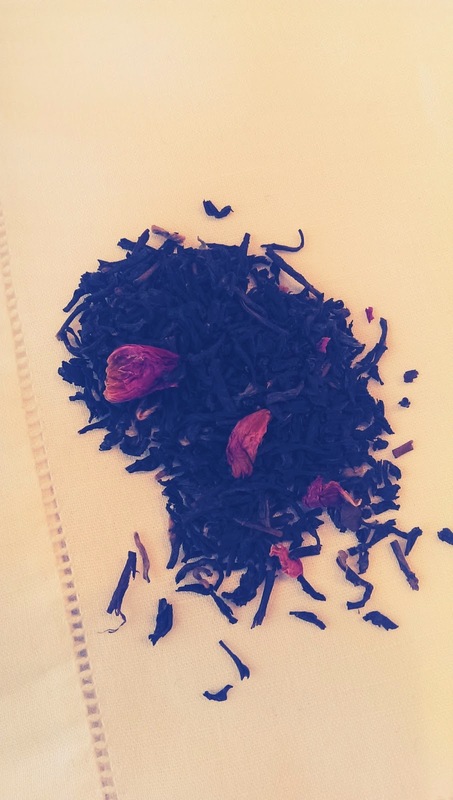 Of course you can perform your own "tea ceremony" with any loose tea, however my Rose Pouchong tea contained real dried roses giving me a two-for-one smell the roses / luxury tea experience! The tea actually wasn't very rose scented, however making tea in a teapot creates much more of an aroma than you get from a teabag and as I was pouring my cup it evoked memories of my great aunt, always one for doing things "properly"! 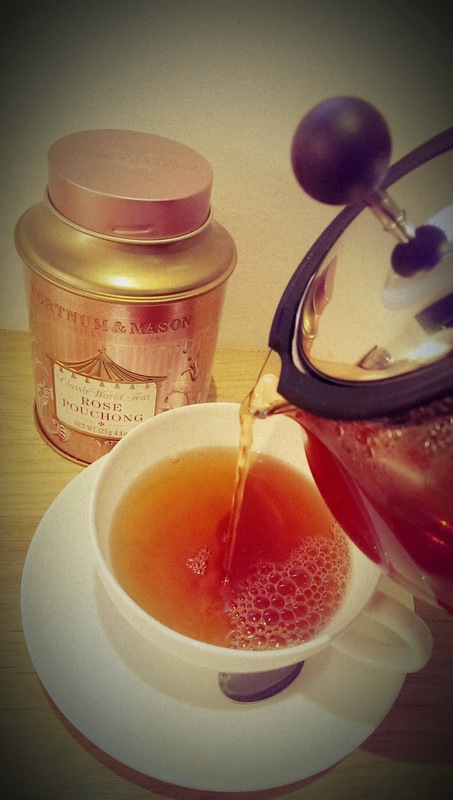 To make tea in a tea pot you first have to heat the teapot by swirling hot water in it, which you then discard. Using an appropriately sized teapot, add a spoon of tea for each person and then "one for the pot". Fill with freshly boiled water and wait to brew. Now comes the controversial part, to add milk to the teacup before or after the tea? I was brought up to add milk first, however I find that this frequently results in a too-milky drink. I therefore pour my tea first and then add milk afterwards. Obviously I'm going to advocate the use of a proper china cup and saucer - sure, a mug would do but where's the luxury in that? I'm making use of my wedding china here, but you don't need to buy a full set of cup and saucers - you can get individual vintage cups & saucers very inexpensively from charity shops (just don't put them in the dishwasher) and you could even get a little side plate for your biscuit if you're feeling particularly fancy!! Personally I don't think that you can fail to feel elegant and relaxed after making yourself a cup of tea this way, so why not treat yourself to this experience sometime soon? I love tea cups and saucers. There is something really lovely about using them.